If you have never been to Arizona, you may be surprised to know that the state is not only covered in cactus and canyons. Known as one of the sunniest places in United States with its fair share of desert landscape, Arizona is also home to over 193 mountain ranges with several over 10,000 feet and the highest point being Humphrey’s Peak ( elevation 12,633 feet) near Flagstaff. Home to the largest Ponderosa Pine forest in the United States, the flora and fauna of Arizona is quite diverse and offers a fantastic number of amazing hikes ranging from the immense Grand Canyon, to the cactus-coated desert and rugged, pine-scented mountain tops. The Southwestern city of Tucson where my parents live, is a true hikers’ paradise as the city is almost completely surrounded by mountains. 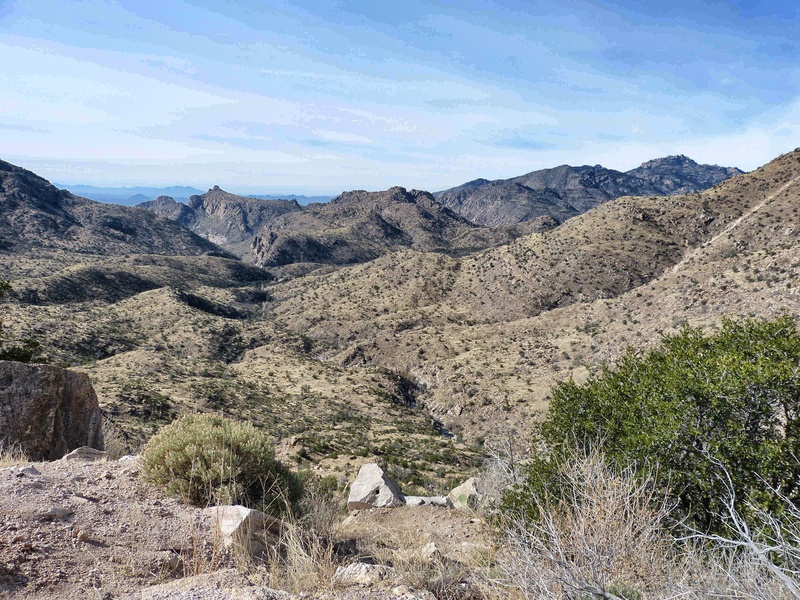 There are five major mountain ranges in Tucson, each with its own flavor and appeal. To the north of downtown Tucson lies the majestic Santa Catalina Mountains which slowly rise to almost nine thousand feet. To the east lies the Rincons which are less rugged than the Santa Catalina Mountains and the Santa Rita Mountains which rise to the south. To the west lie the craggy Tucson Mountains and to the northwest lie the fifth mountain range, the Tortolita mountains. 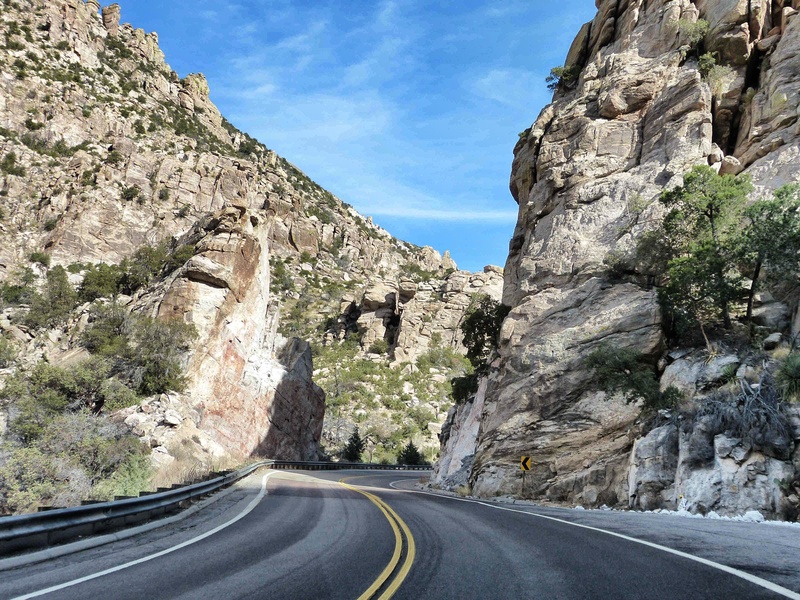 A drive from balmy, sunny Tucson up to Mount Lemmon is the perfect way to find peace and also a little winter in Arizona. On top of Mount Lemmon is an actual ski resort which is hard to believe. Yet the Mount Lemmon Ski Area receives about 57 inches of snow annually and its short but steep runs offers “winter on demand” for those living in the desert town below. The last look at the desert landscape before the cactus disappear and the pines arrive. Around an hour and fifteen minute picturesque drive from Tucson brings you to another world. As you climb up the breathtaking Santa Cathalina Mountains following the Mount Lemmon Scenic Byway, slowly the desert landscape begins to disappear and suddenly majestic ponderosa pines line the road. 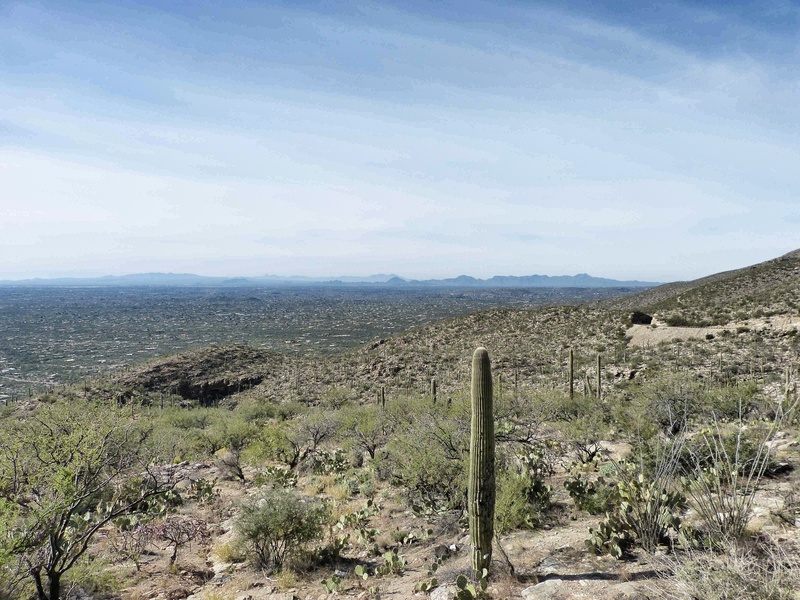 The views along the way are arguably some of the best in Southwestern Arizona with sensational views of the city below and the shadowed mountains in the distance. The landscape is dramatic. I find the raw beauty to be serenely peaceful and divine. As you climb higher and leave behind the cactus, you enter instant winter or “winter on demand” as my parents like to call it.